When a home or commercial property experiences a fire, the aftermath can seem overwhelming. But, postponing fire restoration will only cause the damage to get worse. The longer the damage sits, the more there will be to repair and the more money that will have to be spent. Dealing with fire damage is tough. But, fires are typically covered by homeowner’s insurance. So, don’t fret too much if your laundry room catches fire. Once, the flames have been put out, the fire restoration experts in Santa Clarita will restore the property and have it better than new. At 911 Restoration of Santa Clarita, we understand how stressful fire damage can be. Our highly trained technicians will do whatever it takes to be there for you and get your property to a fresh new start. The insured, licensed, and bonded team of fire restoration experts in Santa Clarita value your trust, so when you call us we will be completely transparent. A fire can cause a lot of damage on it’s own. However, there are other factors that can cause serious damage to a property that result from a fire. Firefighters use water to fight fire flames but once the flames are put out, you may have more problems than you expected. One example of further problems is water damage caused by a firehose. The extensive use of the hose can cause flooding to the property’s structure, which can result in walls, floors, ceilings, appliances and furniture to be impacted or damaged. Another common cause of water damage following a fire is a burst pipe. When a property catches fire, the extensive heat can cause pressure and damage to the piping system, which can result in the pipes breaking or bursting. Falling debris can also cause a pipe to burst and create water damage, as well. Allowing water damage to sit can lead to even more problems, such as, mold. Which is why it is important to call 911 Restoration of Santa Clarita after you have experienced a fire. Our team will arrive as quickly as possible after the fire department has left the property to begin fire damage restoration services. Due to our extensive training and experience, we are able to provide you with top quality water and fire restoration services. Call the team of fire restoration experts at 911 Restoration of Santa Clarita today! Our team truly cares about restoring your peace of mind and giving the property a fresh new start. 911 Restoration of Santa Clarita will be with you from the start of fire restoration, until our team has finished. We encourage you to ask us any questions or issues that may arise during the restoration process. Our goal is to provide you with peace of mind and comfort during this difficult time. When disaster like a fire occurs, you can rely on 911 Restoration to help get your life back to normal. A major part of assisting property owner’s during this time of needs includes working with your insurance company. We will file the insurance claim in order to help ensure that you receive the maximum coverage possible. Even if insurance doesn’t cover fire restoration or water damage, you can rest assured knowing that we offer affordable restoration services and are dedicated to the restoration of your property. Get back on track for a fresh new start. 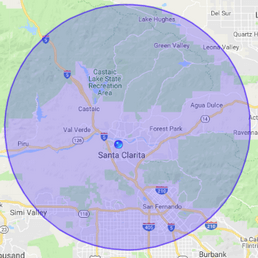 Whether you have experienced a minor or major fire that caused a lot of smoke or water damage, call the fire restoration experts at 911 Restoration of Santa Clarita to get you back on track.